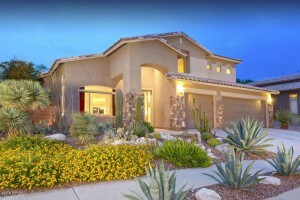 There are 10 homes for sale in Sabino Mountain with prices from $329,900 – $1,295,000. Long Realty scored a home room putting 7589 E Crested Saguaro Place under contract in 3 months’ time; it was listed at $1,295,000; the final sales price is unknown until it closes escrow. It last sold 12 years ago for $1,195,0000 so it is unlikely they made much money in all that time which is par for the course in homes that have sold for over a million since 2004. 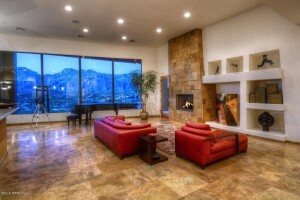 This contemporary home is located on a high ridge with Santa Catalina mountain views and boasts almost 4,800 square feet of living space on over an acre. 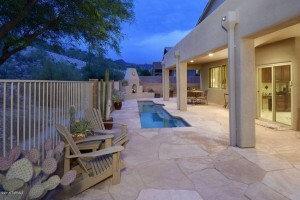 It has twin gate security and as a result pays a higher HOA fee of $175 per month. 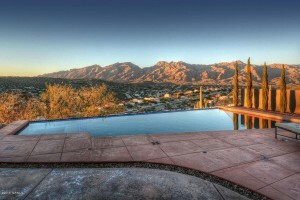 Call me at 520-615-2598 if you want to explore the Catalina Foothills luxury home market. There are many great opportunities out there! 4069 N Sunset Cliff Place, which has the popular two-story floorplan with the first floor master sold for 390K by Long Realty. If you are thinking of selling your Sabino Mountain home contact me at 520-615-2598 or email me at Donna@DonnaAnderson.com. I promise excellent service, custom photography and a brochure that is more detailed than you will ever see with the competition! No one knows Sabino Mountain better! I have sold 15 in our community! You are currently browsing the Sabino Mountain Blog blog archives for April, 2016.